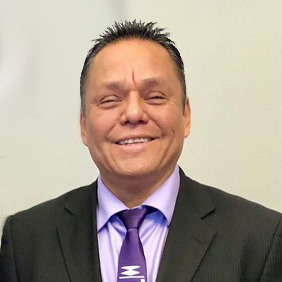 HALIFAX, Jan. 11, 2019 - The Mi'kmaw Sport Council of Nova Scotia is delighted to announce the appointment of Kevin Sandy as the Chief Executive Officer of the Halifax 2020 North American Indigenous Games (NAIG) Host Society. "I am tremendously excited and honoured to play a key role in planning the games which will be hosted in Mi'kmaw territory," said Mr. Sandy. "I look forward to working with all stakeholders in Nova Scotia. Our vision will be to honour and respect the games that empower, inspire and teach our youth, while promoting Indigenous culture and heritage." Mr. Sandy will provide strategic leadership, support and knowledge to ensure effective planning, implementation and delivery of NAIG in accordance with the Host Society Board's vision and mandate. He will also work with the NAIG Council and the Mi'kmawey Debert Elder's Advisory Council on developing a stronger cultural program consistent with the council's three guiding principles. "We are excited to welcome Kevin Sandy to our province," said Leo Glavine, Minister of Communities, Culture and Heritage. "His experience, knowledge and expertise in the area of business and sport development, as well as his understanding of Indigenous customs, culture and history make him very well-suited to the position. I am confident that Mr. Sandy will make a positive impact on the North American Indigenous Games." "NAIG is an exciting opportunity for our city and province," said Halifax Mayor Mike Savage. "It is wonderful that someone with Kevin's depth of experience is onboard to ensure these will be games to remember." The 2020 North American Indigenous Games will include 5,000 sport and cultural participants from 756 nations competing in 15 sports. The Games will take place in Halifax from July 12 – 18, 2020. The North American Indigenous Games were developed to improve the quality of life for Indigenous peoples by supporting self-determined sports and cultural activities that encourage equal access to participation. Mr. Sandy will be supported by the Host Society Board Chair Tex Marshall and Vice-chair Jamie Ferguson along with a strong team of board leaders within Nova Scotia in various sectors.